When it comes to shopping for home décor, some pieces are worth the investment, while others simply are not. Big ticket items like the living room sofa, the dining room table, and a mattress for the bedroom, for example, are just a few pieces that you'll definitely want to splurge on since they'll likely be in your life for years to come. However, you can find other small accessories and trending items like throw pillows, vases, and decorative objects at an affordable price. Because these are the types of products that you may replace more frequently, they're not typically worth a hefty price tag. If you're hoping to breathe a bit of new life into your home without spending a fortune, you're in luck. Ahead, find a selection of chic, stylish pieces of home décor all for just $10 or less. We scoured the offerings of a few affordable brands and even found some hidden gems in the sale sections of more high-end retailers. Keep scrolling to shop the best home décor we found for $10 or less. It's the most affordable way to give your home a simple refresh. A faux plant is a quick and easy way to liven up just about any space. 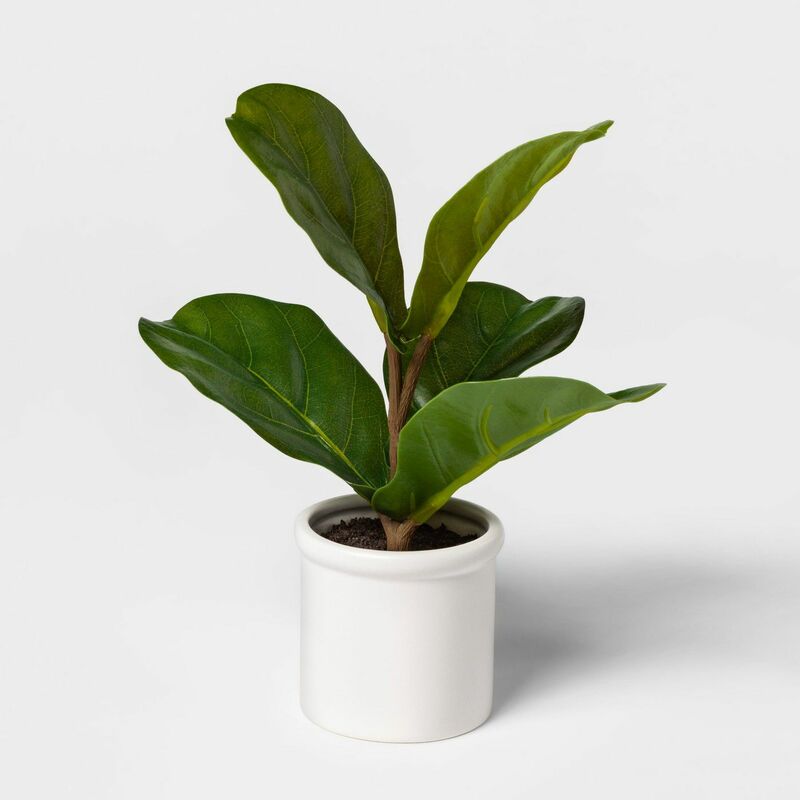 You can snag this artificial fiddle-leaf fig plant from Target for under $10. It even comes with its own ceramic pot that would look simple and stylish no matter your existing décor. 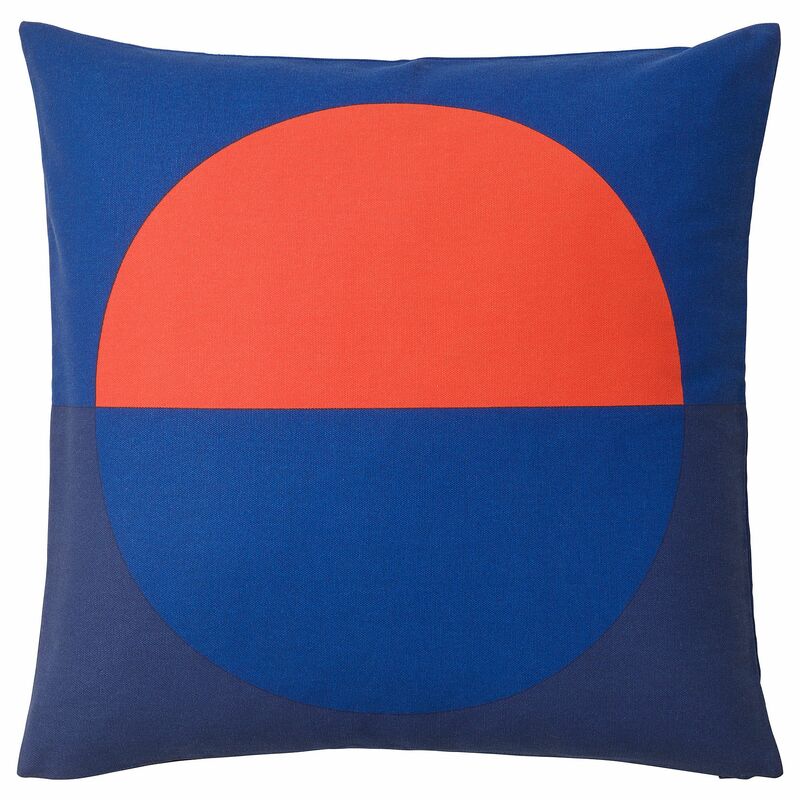 This graphic cushion cover is modern and colorful. Zip it over a throw pillow insert and toss it onto a couch or accent chair to inject a bit of design into your space. If you ever tire of the bright print, you can always flip the pillow over and display the plain blue featured on the back of the cushion cover. 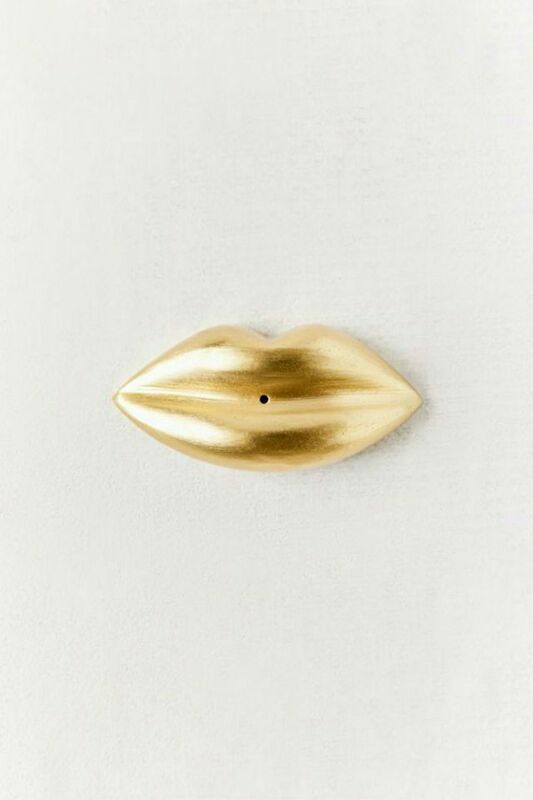 A playful incense holder, this affordable decorative item features a cast metal piece in the shape of lips. Place it on the coffee table or side table in the living room to give your incense a chic holder to sit in. Not only with the smell of the incense transform the feel of the room, but the eclectic design of the holder will too. 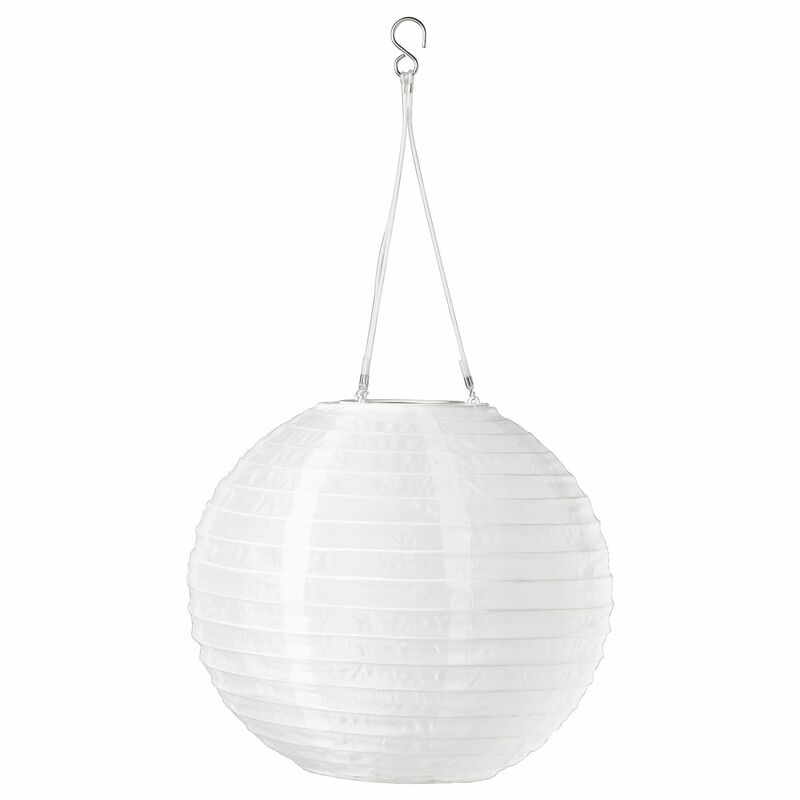 For indoor or outdoor use, this minimalistic, white paper pendant lamp is a fun, bohemian piece of décor. It's also as functional as it is stylish. The IKEA find is powered by solar energy so the LED light can shine without any pesky cords getting in the way. 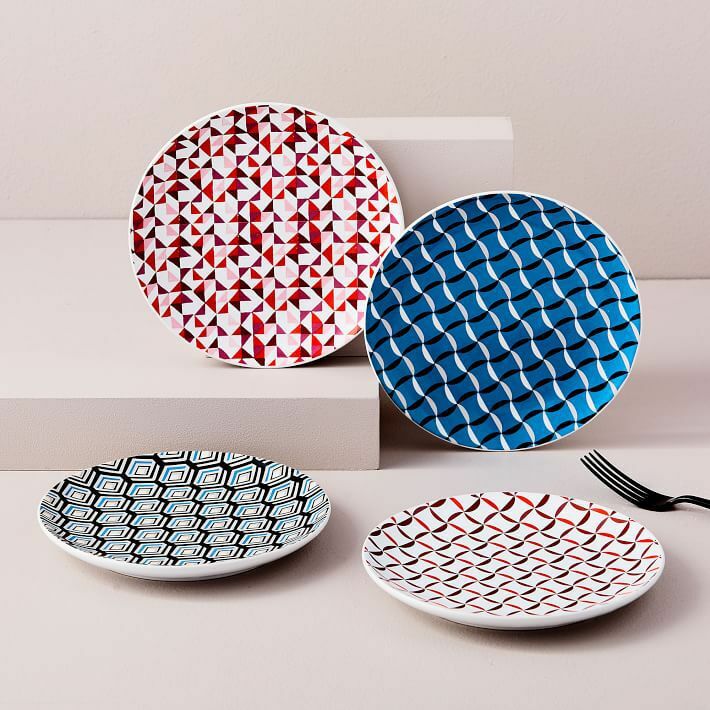 If your kitchen could use a pick-me-up, consider these dessert plates from West Elm. They feature vintage patterns in a variety of prints and colors for an effortlessly mix-matched look. Use them to serve up everything from homemade cake to cookies in style. 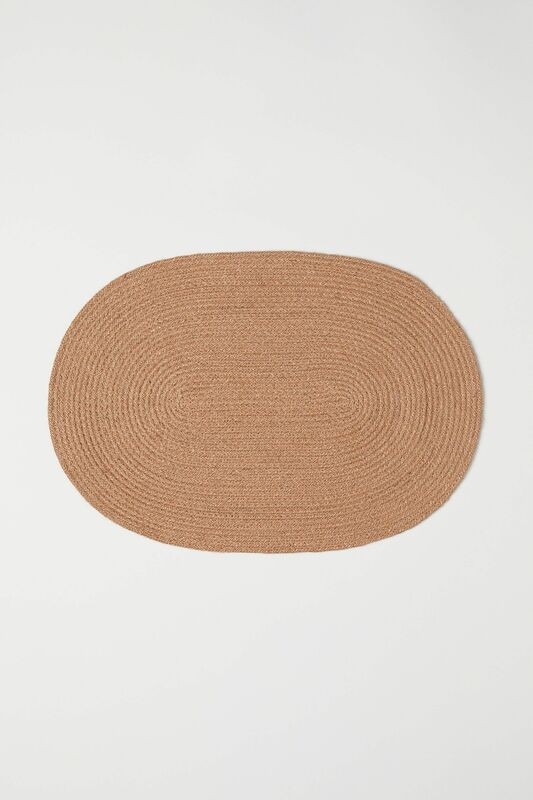 Give your dining room a relaxed, natural vibe with a few jute placemats. Made out of natural material, the simple placemats will help make your dining table feel inviting and warm. It's an easy update that goes a long way. 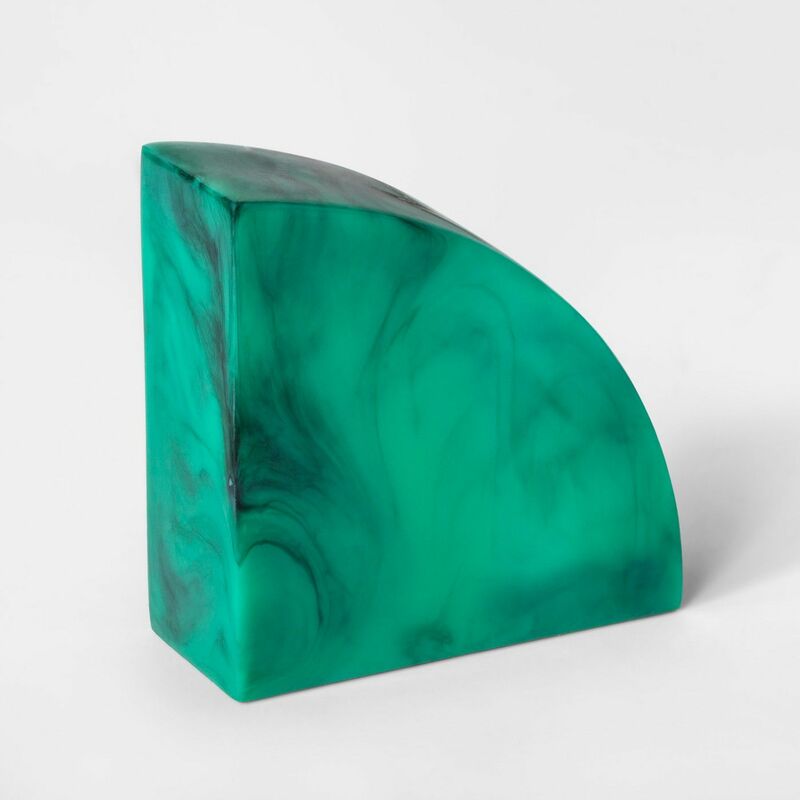 This rich, gemstone green bookend will add a welcome touch of color to your bookshelf. The half moon shape is modern, yet practical while the faux malachite resin material resembles luxe agate, crystal material for a fraction of the cost. Updating your cushion covers is perhaps the easiest and most affordable way to refresh and interior space. 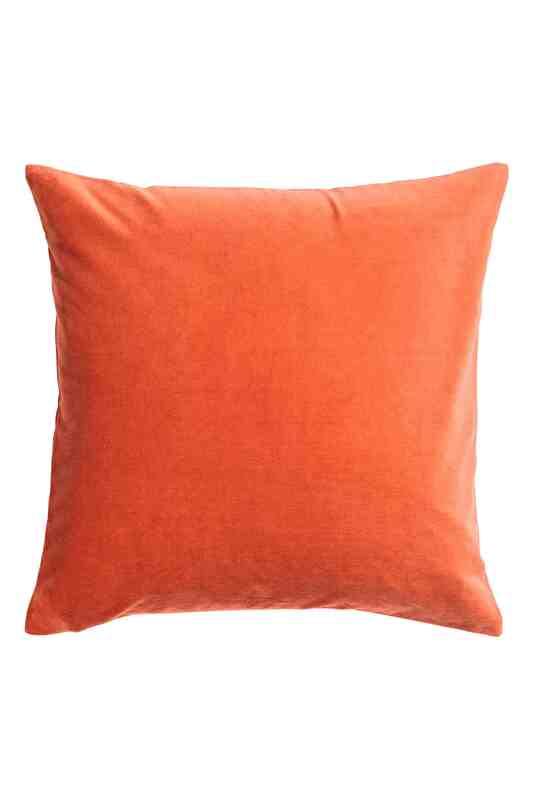 This cotton velvet cushion cover from H&M comes in a bold orange hue, perfect for spring and summer. 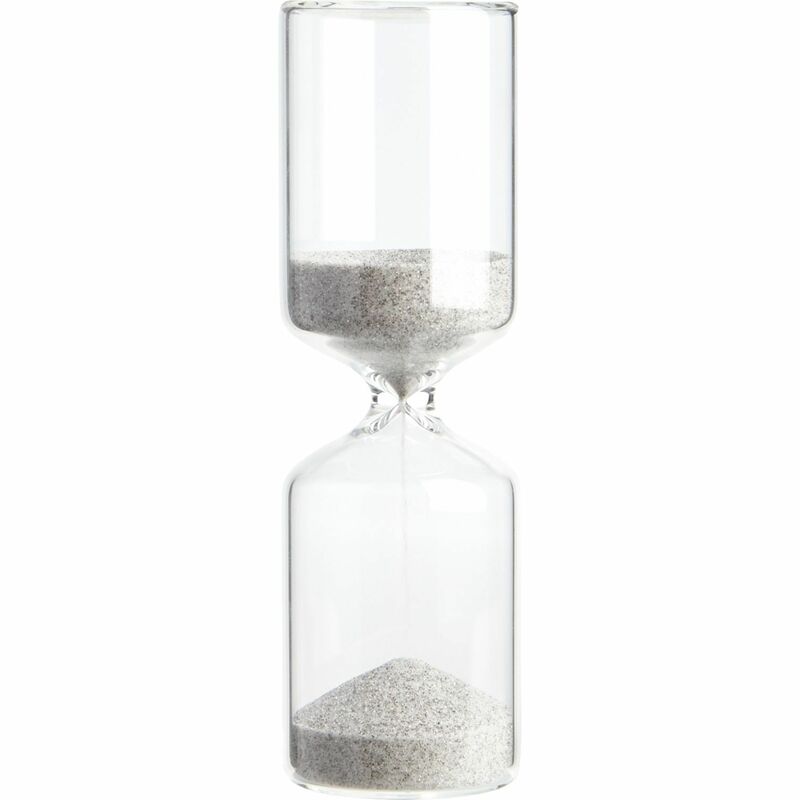 Not just for playing charades, this decorative hourglass is a sophisticated piece of décor that surprisingly won't cost you more than a few bucks. The clear design counts down 15 minutes as black-and-white sand falls from the sculpture. Made from chem lab beaker glass, it has a nostalgic feel that you and guests will be hard-pressed to resist. 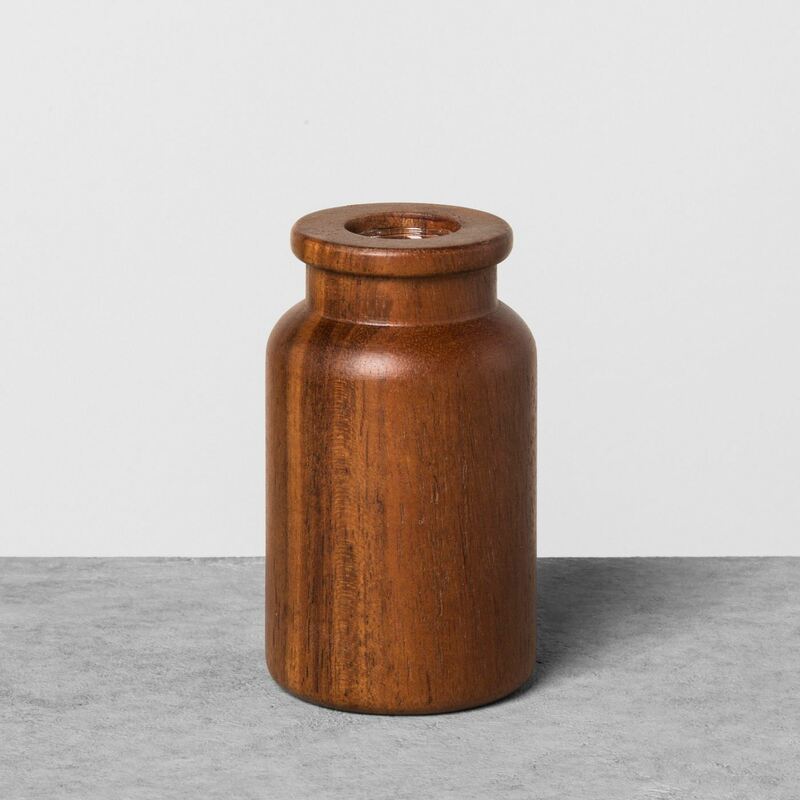 Whether you keep fresh or faux botanicals in the house, this wood bud vase from Chip and Joanna Gaines' collection for Target, Hearth & Hand with Magnolia, is the perfect vessel for a variety of plants. Use it to display a single palm leaf or a bundle of dried pampas grass. Next Up: An interior stylist says this is the best way to "make your home look expensive."